Ah, another Micron, this one is the 05 (.45mm) black version. Its main difference from other Microns of course being its nib size. The pen body is slick but doesn’t slip when pressure is applied. Aesthetically it looks old school with its graphic design, but all the necessary info is readable and in intuitive places. The top of the cap is marked with the size, making finding the correct pen for the job from storage much easier. The overall length and weight of the pen is nice and makes it easy to handle. Of course the main difference between this Micron and other Microns is the nib size. 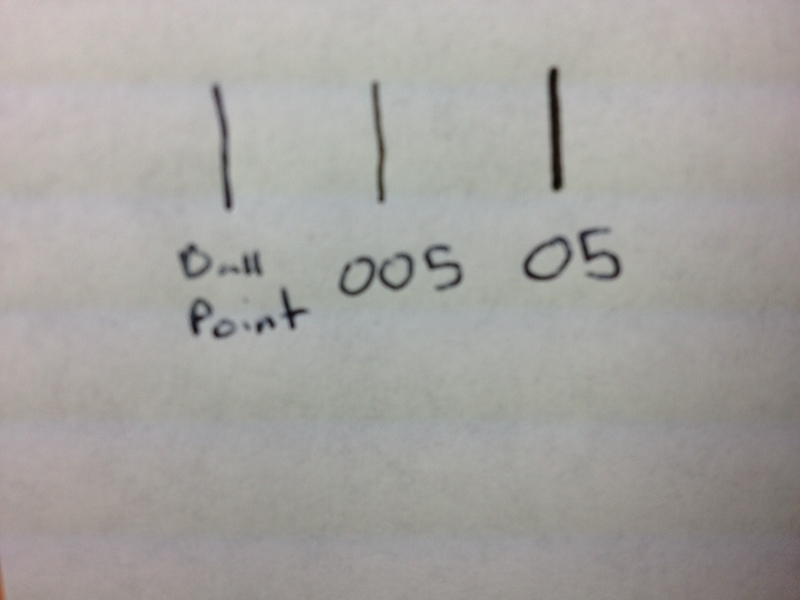 The 05 nib is a medium size, good for main lines and other things that should be noticed but that you don’t want to emphasize as much (assuming you’re using a broad range of pen sizes). The nib also takes considerably longer to wear out then its smaller counterparts, and one will find the ink becoming grey or stopping almost entirely before wear from normal use is noticeable. The ink is of course the wonderful Pigma ink, which resist fading and running. It does fade after prolonged times, but not entirely and it is hardly noticeable. It also begins to fade as an eraser is rubbed over it, but this is minor and will only happen once or twice. Overall the pen is nice and a great value. 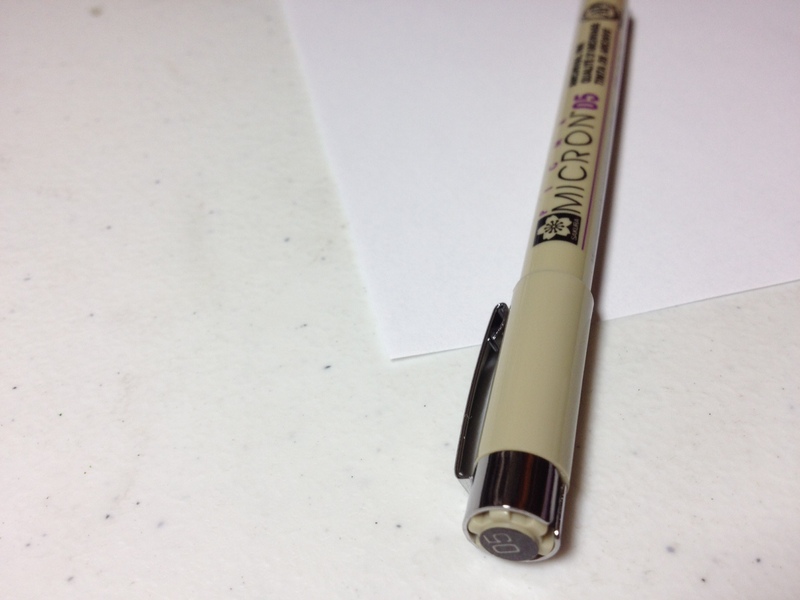 It is more of a writing size pen then the other pens in the Micron range, making it one of the most versatile of the line. This entry was posted in Advanced Supplies, Utensils and tagged .45mm, 05, art, black, ink, inking, pen, penning, pigma, review, supply, technical, technical pen by Dragon Co (Austin Smith). Bookmark the permalink.